Elaine Harmon's ashes have been sitting in her family's home for almost a year, waiting to be interred at Arlington National Cemetery. Her relatives don't know when that will happen, if at all. Harmon — one of more than 1,000 female pilots who served in non-combat roles during World War II — has become the impetus for a new congressional push to overturn a decision in 2015 to block certain women veterans from the nation's best known cemetery. On Wednesday, a bipartisan coalition of lawmakers demanded the White House intervene on the issue and promised legislative action in coming weeks to honor the service of Women Airforce Service Pilots, who they called military pioneers. 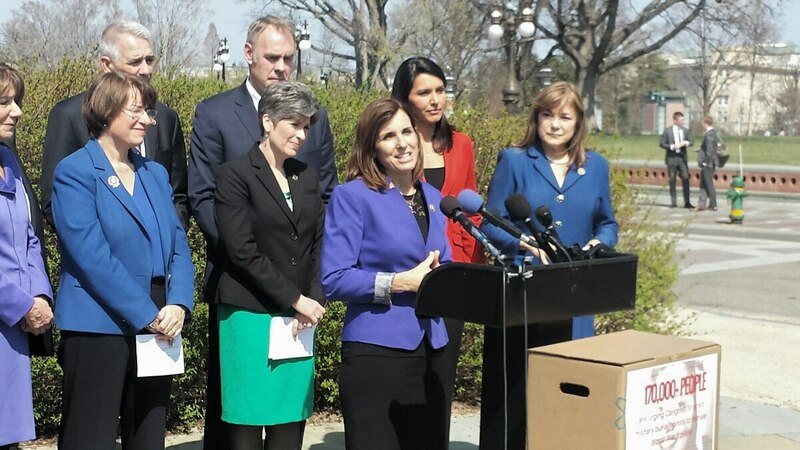 "We need to allow the WASPs to be laid to rest as the heroes they are," said Rep. Martha McSally, R-Ariz., sponsor of a bill to force a change in policy. "It's ironic and cruel that at a time when the administration is trying to open up combat positions to women … they are closing the gates to Arlington to these women." 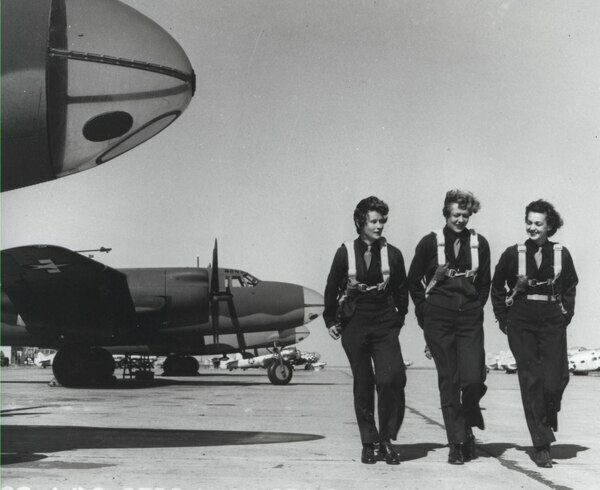 Members of the Women Airforce Service Pilots are seen on a runway in Laredo, Texas, in 1944. In 1977, Congress passed legislation retroactively granting active-duty status to WASP pilots, allowing them to be officially considered veterans for the first time. Advocates have said if not for sexist attitudes at the time of their service, the women would have been considered the same as any other service member. Following that law's passage, WASPs and their supporters fought for a variety of benefits and recognition. In 2002, Arlington National Cemetery approved group members for military honors and burial there. But last year, then-Army Secretary John McHugh said cemetery officials erred in that approval, since the site's qualifications follow Army policies, not Veterans Affairs rules. Since then, WASPs have been blocked. Earlier on Wednesday, acting Army Secretary Patrick Murphy testified before the House Armed Services Committee that he believes the WASPs should be allowed to be buried at Arlington Cemetery, but that he lacks to authority to allow it. He offered support for McSally's measure. But when challenged by the lawmaker — "you really think an act of Congress is the fastest way to address the problem?" — Murphy became visibly frustrated, blaming the confusion on problematic language in the 1977 law. "Congress needs to change what Congress changed back in 1977," he said. "I can't do that. The secretary of defense can't do that. The commander in chief can't." McSally said she still believes the administration could do more to intervene on the issue, but is pushing ahead with legislation while trying to sort out that confusion. The measure has more than 177 co-sponsors in the House and recently advanced out of the House Veterans' Affairs Committee. Sen. Joni Ernst, R-Iowa — who with McSally is one of four Iraq War veterans in Congress — has offered similar legislation in the Senate. "There is no doubt these women are heroes," she said. "The Pentagon should do the right thing and honor these women." Until then, Harmon's ashes will be in her family's home. Her granddaughter, Erin Miller, told reporters that her grandmother would probably be embarrassed by all the attention given to her case. "But for the WASPs as a whole, she would want them recognized," she said. "To her, Arlington was not just a cemetery, but a memorial to all who have served."